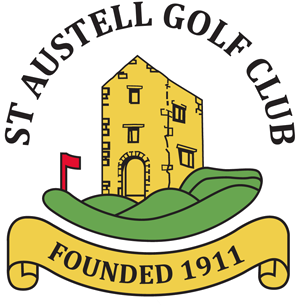 In one of the closest and most fascinating matches any of our Club sides have been involved in, the Frank Will Salver team secured a last gasp win against a spirited Treloy side at Truro on Sunday. With only our top pair of Gary Hooper & Dave Johnson able to secure a win (2&1) in normal time, our lead was soon wiped out as Shilson Cup winners Matt Chadwick & Steve Grose went down 3 & 2. Jay Isbell & George Hawkey fought back from 2-down to lead going up the 18th only to lose to a par-4, whilst Phil & Dean Kent won the last three holes to square their match. When Glyn Rowett &amp; Mike Payton couldn’t find the birdie they needed on the last to tie their game Treloy led 2 & 1 with two matches all square – a 3 & 2 defeat? 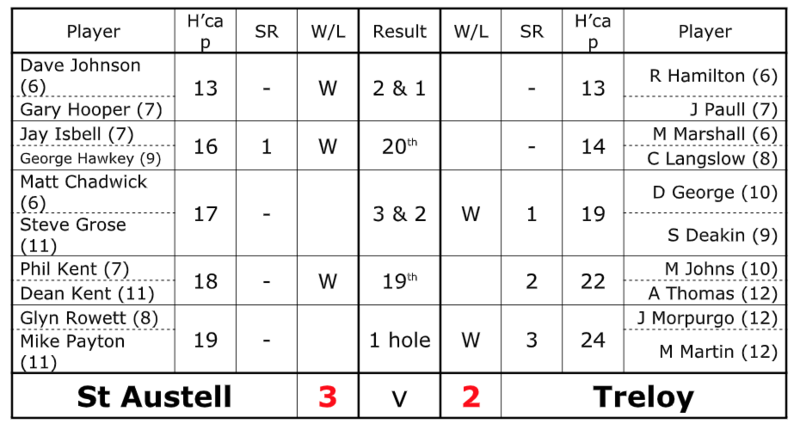 Not quite game over as, in this event, all matches must be played to a finish, and in extra holes our guys rose to the challenge as first Isbell & Hawkey won at the 20 th before the father and son duo of Phil & dean Kent secured victory at the 19th . Well played gents – we can now look forward to a quarter-final match against Tehidy Park in the middle of January.